Island Components offers a broad line of brushless motors from 1.375” to 3.25” diameter. We can modify our standard line of brushless motors to meet specific requirements. We can produce from 7/16” diameter to as high as 20” diameter. We can also adapt our DC brushless motors to match your electronic interface or we can supply electronic controllers integrated with the motor or as separate modules. Our DC Brushless Motors (BLDC Motors) are designed for a broad range of applications. 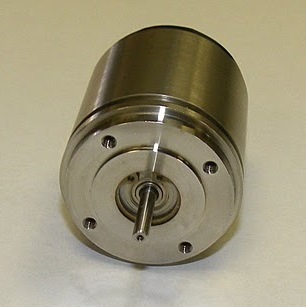 See Brushless DC Motors. For instance, they can be used in high performance applications. DC brush motors are used for maximum performance applications with stringent specifications and feature high torque-to-inertia ratios, high speed capability of up to 20,000 rpm for typical designs, high operating efficiencies and high power densities. We at Island Components design and manufacture a broad range of precision custom actuators, such as electromechanical rotary actuators and valve actuators, and in-line packages, drives and controllers to meet almost any application. We also offer many of the basic components — gearheads, gearhead assemblies, clutches, electromagnetic clutch brakes, electromagnetic brakes and feedback devices for our higher-order assemblies and actuators. Contact us or fill out our RFQ form to find out more. We also have AC motors.